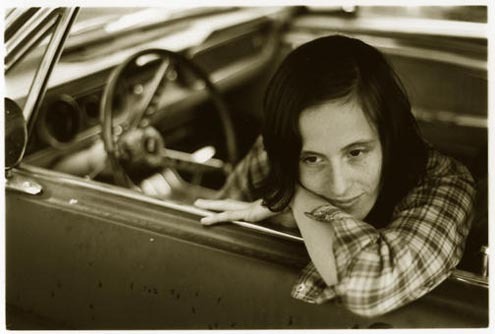 Sera Cahoone is no stranger to the music scene. Having begun playing drums at age 11, the Seattle based singer-songwriter was part of the band that spawned both Band of Horses and Grand Archives. Her sweetly somber music is tender and easy on the ears, and has gone under the radar for far too long. Her self-titled and self-released debut was an underground hit, and Sera is now touring in support of her newest album, Deer Creek Canyon, on Sub Pop Records. Nashville songbird Rayland Baxter opens this show at DC9 on Wednesday, and you’d best make the trek to see these two talented folks. Sera joined us for our 5GB series below. Pat Benatar with my mom. I think I was 10. I have to say it was very recent. My record release show here in Seattle at The Neptune. It was such a special night. I had my family out here as well. Patti Smith at The Moore Theater. Red Rocks has always been a dream. Hank Williams, Loretta Lynn, Merle Haggard and myself. Don’t miss Sera Cahoone Wednesday, December 12th at DC9!